That's interesting about Flying Colours - I will have to try to get hold of a copy. I think the Nollen book deserves more of a mention. There is a good deal of interesting material in it that supplements the treatment in 'Minstrel' - which would be my recommended starting point. As well as the Macan book there is Bill Martin, Listening to the Future: The time of progressive rock 1968-1978, Carus Publishing, Illinois 1998 - I think I got mine through Abebooks. Our boys feature on the front cover and are mentioned throughout, but there is rather more about Yes (about whom the author has also written a book). Be warned - this is still 'heavier' in tone than either Macan or Moore, so might not be everybody's cup of tea. It draws heavily on Macan's sociological analysis of the English roots of prog. Of course, the problem for Tull is that they don't really fit with that label, so some of the mentions are often a bit tangential. 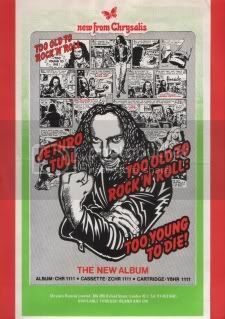 This is the problem, I find, in most rock books - they either ignore Tull or give them a passing mention. 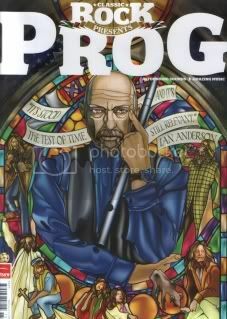 Another thing that is interesting about both books on prog is that they are by US authors. British rock critics often seem too concerned with appearing cool to spend much time on listening to the music rather than sneering at it. The problem with US approaches, though, and this would apply to Nollen as well, is that they miss some of the nuances of British life that are so important (I think) in understanding Tull. So, for example, Nollen compares grammar schools to US high schools, but that seems to me to miss things about them that shape much of the lyrical content right through to Thick as a Brick. So I think it's absolutely right that a Patrick Humphries type treatment is still wanted. Incidentally, does anybody know anything about the most pre-announced book in the history of rock music? This is the history of Ian Anderson promised by Brian Rabey that I ordered on Amazon in 2005! They seem to have given up apologizing for not being able to supply it, so perhaps this project is dead in the water. Many years ago there was a draft of an initial chapter on the Web and it went into a good deal of detail about the early days in Blackpool. Apart from the announcements on Amazon, I've found nothing else about it either. Any Russian speaking Forum members? on the Electrocutus site, this is what I have come up with. It's 316 pages long, in Russian with English used for all the song lyrics. Can anyone add any further details? 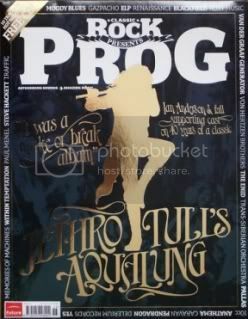 Eleven pages about Aqualung with "vox pops" from Glenn, Terry Ellis, Jeffrey, Clive, David/Dee, Martin, Burton Silverman (who created the cover) and John with IA providing a lot of reminiscing about Aqualung. Oh, and some fine images as well. Yours for a pittance of £7.99p at your local newsagent here in the UK. The Jethro Tull guitarist tells the story of a truly classic album – Aqualung. I'm tasting the smell of toast as the butter runs. Thanks Brother - I'll try to find a copy. 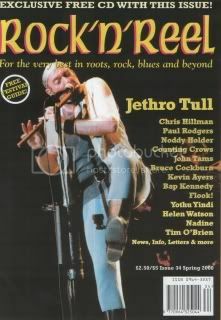 I have just finished compiling the Complete Jethro Tull/Ian Anderson Lyrics 1968-2012 which includes all lyrics up to the present day including 3 songs which (maybe) included in Ian's next album which is to be released during the year. This will be available for your ebook/kindle and also in pdf format and it has been sent to Ian for approval and comments and also to confirm the lyrics to the 3 new songs, after I get it back I just have to do a final edit and add a few notes/acknowledgments so hopefully it will be available very soon at no cost to people, maybe to download from the official tull site or my independent site and I hope it will be useful for people. Excellent!! Well done you! Look forward to that! Ian himself says that he needs one at times.It's bloody annoying trying to find some lyrics on those annoying websites. And going by the recent concerts, there are now two distinct versions of Adrift and Dumbfounded. 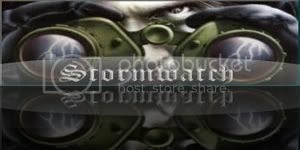 Which one have you submitted Stormwatch - the male or female version? UPDATE: The release of the book maybe delayed for a few months so we can include the songs from the new album. Ian has it but is busy with the new album. Stunning picture - a must buy!!!!!!!!!!! Just got my two copies today from local shop. "It's Word 110, in which Jude Rogers comes face-to-face with Paul Weller. Plus: New Order, Warren Ellis, Tiny Furniture, music radio, Shhh! Festival, Latitude, Sandy Denny, the Plattenskreisel, Jeremy Dellar, Pirate Bay, Celtic Connections, Dion, Tom Waits, Best/Worst chat-show hosts, The Triffids, Captain Sensible, Annabella Lwin, Jethro Tull, The NME, Land Del Ray and IUMA. Also in this issue: columnists David Hepworth and Rob Fitzpatrick, plus our regular round-up of the very best in new music, books, film and DVD. And that's not all: our free, 15-track CD featuring the best new music of right now, including tracks from Pugwash, Lonely Drifter Karen, Balkan Beat Box, Duotone and more... many more." Guitar World checks in with the one and only Joe Walsh in the all-new May 2012 issue. Walsh, who found success with the James Gang, then The Eagles -- all while putting out a series of guitar-driven hits as a solo artist -- is the first to admit his life has been good to him -- so far. Walsh just performed with Paul McCartney at the Grammys, owns an enviable collection of vintage guitars and is about to hit the road for The Eagles' 40th anniversary tour. He's also excited about his new solo album, Analog Man. Shinedown: When Shinedown lost their lead axman, rhythm guitarist Zach Myers suddenly found himself handling all six-string duties. On the group's latest album, Amaryllis, he proves he can burn with the best of them. Hubert Sumlin: He devoted his life to the blues. When he died last December, Hubert Sumlin left behind a legacy that influenced guitarists from Jimi Hendrix to Stevie Ray Vaughan to Billy Gibbons. Jethro Tull: Forty years after releasing Thick As a Brick, Ian Anderson delivers a sequel that puts a modern update on the prog-rock classic. 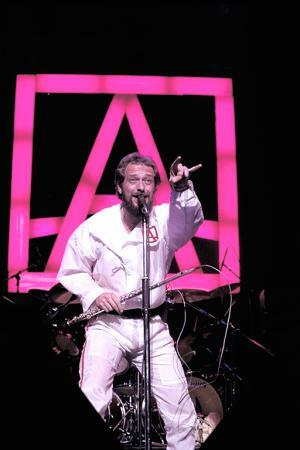 PLUS: Anderson appraises five of Tull's axe authorities: from Tony Iommi to Martin Barre. 100 Tips For Better Guitar Playing: From technique and theory to gear and tone -- this is the ultimate guide to becoming a better guitarist, regardless of your skill level. 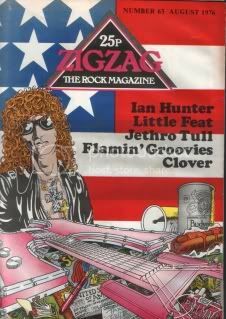 Tabs: The new issue includes JOE WALSH, "Life's Been Good" / BLACK SABBATH, "Electric Funeral" / VEIL OF MAYA, "Unbreakable" / HOWLIN' WOLF, "Killing Floor" / JETHRO TULL, "Thick As a Brick"
Soundcheck: Reviews of the Line 6 JTV-59 James Tyler Variax guitar, Fender's Kenny Wayne Shepherd Signature Strat, DigiTech's iPB-10 Programmable Pedal Board, the Peavey Session Solidbody Electric Guitar, the Visual Sound Dual Tap Delay and TC Electronic's PolyTune Mini Tuner. So there I was wondering what might befall this haggard Tull veteran following on from TAAB2 when, through the letter box, or rather via a polite knock at the door by our postman, arrives "Jethro Tull Over Germany", a rather sumptuous 256 page hardback book detailing the band's involvement with tours and appearences in Germany. Now my knowledge of the German language is minimal, mainly restricted to ordering beer and . . . . ordering beer, but this book is a beauty. Detailing the group's involvement in Germany, it goes into great photographic detail and some of the images I've never seen before or even in such quality. 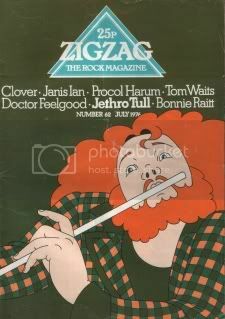 All the current and former band members are included and there are interviews with Ian Anderson, Clive Bunker and Florian Opahle, amongst others, together with reproductions of tickets, posters, magazine covers, backstage passes and other Tull paraphernalia from down the years, all relating to Germany. Such is the attention to detail with the book that even some early German press clippings are clear and concise which is unusual when attempting to reproduce old newsprint. Obviously a labour of love by the authors and all in all, a wonderful addition to the Jethro Tull archive and worthy of a five star rating. By the way, any thoughts about an English language version? There's no problem with posting my photos here, Mr. Maddog. I just wanted to add, that this book might be very interesting to non-german-speaking Tull fans, if only they are interested in Tull photos. There are hundred of them in it, most coulour, high quality, many in full page format (24x30cm), very good printing- and paperquality etc. I think there are around 200 - 250 previously unreleased snaps of our litte favourite band in it. Ich werde dieses Buch kaufen sofort !!!!!!! Todt Ernst ! Good. Carsten's photographs are a delight as are the other contributors. You won't be disappointed. Not sure about learning German at my age and in any case they don't do evening classes on the subject in this neck of the woods. A few sample pages to give members an idea of the quality of "Jethro Tull Over Germany"
I will have some copies to sell at Cropredy. 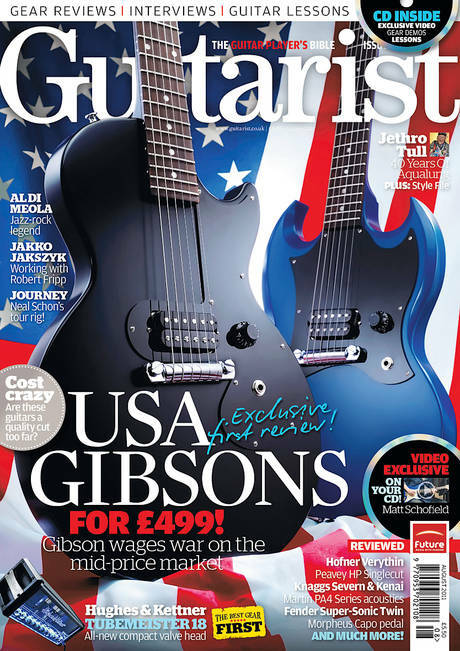 Managed to find a copy of the US magazine "Guitar" while I was waiting at Paddington Station for the train back to Plymouth last Friday. 10 bonus points if you spot the mistake with the caption to the band photo. 5 extra points for any other mistakes you may find. I find Scott Nollen's book the most definitive and authoritative Tull book. Anyone know where I can purchase Driving In Diverse for a price cheaper than the absurd $66 on Amazon? Possibly now out of print so I'd expect high prices for the book. Got my copy in 2002, it then cost $19.95, but I would have thought you could find it cheaper on ebay. Yes, it's pretty good book and, as you say, authorative. 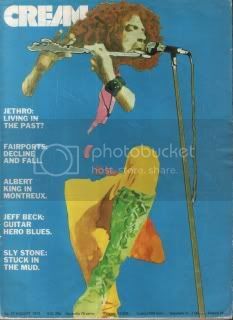 I rate "Jethro Tull Over Germany" highly in the specialised book department but if you need the complete story, well up to the start of the 90's, then Dave Rees' book "Minstrels In The Gallery" is a good read and packed full of information and written from the UK viewpoint as it were. "Flying Colours" by Greg Russo is also up there at the top of the pile and is fully illustrated and an up to date version is now available. the answers contained within the book. 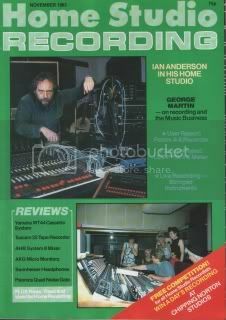 Also included are some short bios and pictures of the band members, including those who played in the John Evan Band, and also a couple of pages about the authors. The book is dedicated "In memory of our good friends Dave Hall, Andy Faux and Michael Veith". legacy of A New Day, and that is what pleases me more than anything else." I can't think of any reason for anyone to disagree with that statement. Volume Two is planned for publication in early 2013.